In this week’s blog I am going to bring your awareness to the depth, rhythm and quality of your breath. My online program at www.TotalSomatics.com discusses in greater depth the subject of breathing. 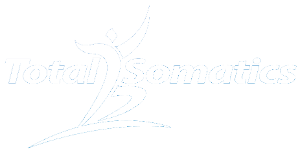 But as I have created the theme “Somatic in September” for Total Somatics, I would like to increase your somatic (mind and body) awareness to your breathing for this third week of September. Breathing is an automatic function which we can take for granted, but when we become mindful and somatic about our breathing, it can reveal a lot about our SOMA (mind and body). Many people live “on their adrenals”, they never stop. Unless they can fit multiple activities in to their day, they feel they aren’t achieving their goals and outcomes. The Total Somatics online program (www.TotalSomatics.com) covers the area of mindset in greater detail, but one side effect from living at 100 mph is SHALLOW BREATHING. Watch the short video as I introduce you to breathing for this week. From the introductory video, I would like you to increase your awareness to how you breathe and where breathing movement can be felt. Shallow breathing is a way of life for many people, which creates many physiological side effects such as limited oxygen to the bloodstream, muscle fatigue, insomnia, muscle cramps and feelings of anxiety, panic and overwhelmed with life events. Knowing how to relax and neutralise stress is one of the keys to living a happier, more somatic lifestyle. When you learn knowledge and skills to deal with shallow breathing, you start to feel empowered. Listen and follow along to my free guided audio to help you improve your breathing. Allow the audio to increase your somatic awareness to breathing. Use this audio as often as possible. I create free audio and videos for you to start taking back control of your health and wellbeing. 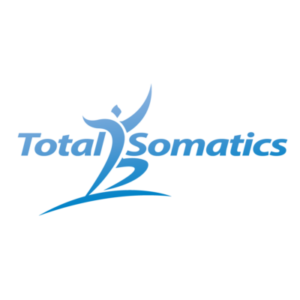 The online Total Somatics programs (www.TotalSomatics.com) will develop areas of breathing, mindset, gentle somatic movements to reduce pain and improve mobility in greater detail. Check out a previous blog I have written on “The benefits of Somatic breathing” on the link below. There is also another free guided audio for you on that blog. It covers other areas of breathing with gentle somatic movement sequences of the pelvis. Click the play button below and start following along with my free guided audio to increasing your awareness to breathing.